It’s hard to think of an event that brings together more world class sailing talent than the finals of the Star Sailors League. This year’s final is due to take place in Nassau from December 5th to 9th where 25 international teams will be converging on the Bahamas for a brutal but irresistible knock-out challenge. 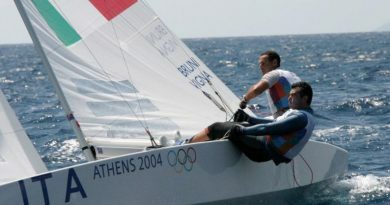 Aside from some of the best Star sailors the world has seen – eg Robert Scheidt, Torben and Lars Grael, Fredrik Loof – there are some famous Wild Cards in the line-up, like offshore legends Franck Cammas and Loick Peyron, superstars in France, plus Olympic champions including Paul Goodison, who dominated this year’s Moth worlds in Lake Garda against another stellar line-up. 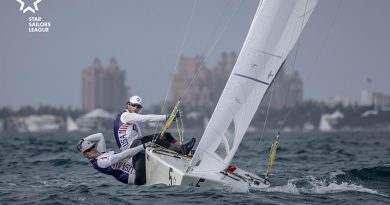 Digby Fox has anchored the TV broadcast for the past five years, and this year again American Kathleen Tocke will be contributing with stats and observations as an ex-Olympic class sailor and Snipe world champion. Digby will also be joined this year, for the first time, by two co-commentators who would probably do pretty well if they were given the tiller of a Star. New Zealand broadcaster Peter Lester first made a name for himself by winning the Worlds in the popular OK singlehanded dinghy and then went on to forge himself a career in big boat sailing, not least as tactician on board New Zealand’s ‘Big Boat’, the 130ft leviathan keelboat that proved no match for the wily Dennis Conner and his smaller but much nimbler 55ft catamaran, Stars and Stripes, in the 1988 America’s Cup. 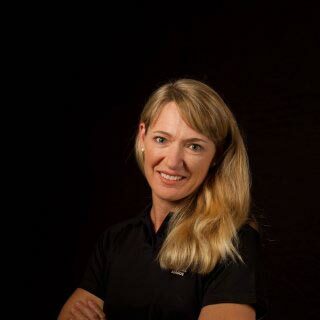 The other addition to the commentary team is Shirley Robertson, a double Olympic champion who’s turned herself into one of the most accomplished and prolific broadcasters in the sport, not least as the presenter on CNN Mainsail. Like Robertson and Lester, Digby has worked on the TV production of pretty much every major event in sailing and he’s taking time out of his role as one of the TV producers for the Volvo Ocean Race, with the Star Sailors League dates happily coinciding with downtime for the Volvo fleet while they’re resting up in Cape Town. Tune in on December 5th for a treat.